Cheap Tricks Thursday: What is Responsive Website Design? Check out this great feature post by IIHS expert branding contributors from Neon Zoo. To find out more about Neon Zoo/ Ernest & Co check out their introduction to the IIHS community here as on of our expert contributors to Course 3. Responsive website design is a relatively new design process coined by Ethan Marcotte. This design trend allows users to engage in an optimal viewing experience across desktop, tablet and mobile devices. As the term describes, a website is designed so that it responds and adapts to the format and device in which it is being viewed on, i.e the website adjusts in size and layout according to the device it is being viewed on. 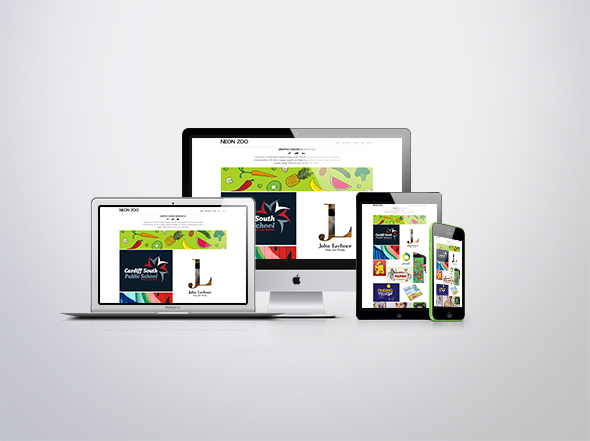 Responsive design allows your site and therefore your business or organisation to become mobile. It is one thing to have a great, user-friendly desktop site, but if this doesn’t translate when viewed on a mobile device, you could potentially be loosing valuable customer engagement. You can avoid duplicate content. Google hates duplicate content, so rather than developing two sites; a desktop and mobile site, you can maintain your site and content within the one framework making it easier for Google to ‘crawl’ for your content. This only works to benefit your sites SEO (search engine optimisation) as you can promote social sharing via the one URL. It gives your customers a better user experience. Rather than making your customers zoom in to read your website content when accessing it on a mobile device, responsive design reformats the information to display to the actual screen size of the device. 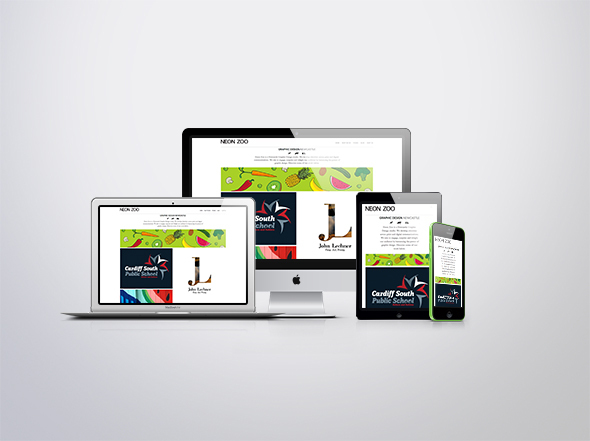 Responsive design ensures your site has a competitive advantage within your industry. As a relatively new concept, many published websites haven’t adopted the responsive design process. As tablet and mobile users increase, more and more sites will adapt to the responsive method and invest in their websites future. Google favours mobile-optimised sites when delivering results for searches made on hand held devices. This is highlighted when searches are requested for local services. For example, if you are located in Newcastle this would promote your site ahead of non-local competitors (another reason to keep your Google Places page up-to-date). Abby McCarthy and Clare Gleeson are the founders of design studio ‘Neon Zoo’ and sister business ‘Ernest & Co’ (launching in May 2014!). Designing with more grunt, growl and meow is Neon Zoo’s core focus when developing bespoke branding solutions. Once a brand has been developed for their clients they then like to sink their teeth into applying it to creative print and digital solutions. Their day to day work varies from logo design, web design, illustration and advertising. Filed Under: IIHS Blog Tagged With: business, cheap tricks thursday: what is responsive website design?, design, tips, tricks, website, what is responsive website design?